People talk. As humans, we have always talked about our likings and dis-likings about products, services and brands. We share our experiences about things we use and recommend those to our friends and family. In a way, we “influence” their buying decision. And when eCommerce owners incluences us to buy something by someone we follow in social media its called social influencer marketing. In the modern day marketing scenario, influencer marketing refers to a collaboration between a brand and an influential person on social media to promote their products, campaigns or services. This is also known as social influencer marketing. 67% of marketers believe that influencer marketing campaigns help reach a more targeted audience; while there is an 11x higher ROI through influencer marketing than any other traditional form of marketing. Download your guide and learn the tips and tricks you need for increasing your eCommerce sales. One must remember here that social influencer marketing is not the same as celebrity endorsements. So, what is social influencer marketing? The best social influencer marketing is more of a relationship between the brand and its influencer. The latter should be a personality who is highly trusted in the brand’s niche and must retain a loyal following. Ideally, they should also have a thorough knowledge and understanding about what they are talking about or endorsing. 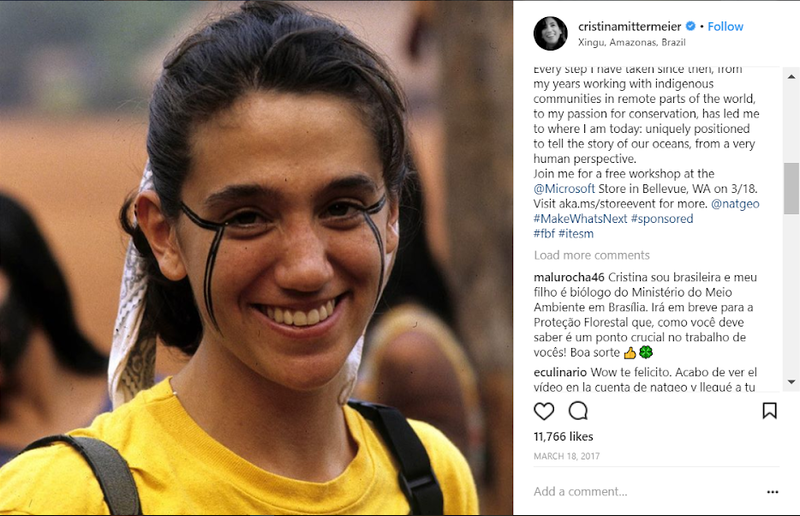 How does social influencer marketing work? Influencers usually create their own content and incorporate the brand’s advertising and marketing specifications into it. He/she is in total control of the influencer marketing ideas and content that are used and works closely with the brand to come up with influencer marketing tactics. It is up to the influencer to decide how they want to portray the brand message in front of their audience. Social media influencer marketing aims to promote authenticity and establish trust among the target audience. The price charged to an influencer is typically decided and calculated by the size of the influencer’s follower base on that particular social media platform. For instance, for Instagram influencer marketing, industry experts would suggest a price point of about $1,000 per 100,000 followers. This pricing is further adjusted based on the reach and relevance of the influencer. The beauty of social media influencer marketing is that anyone with a decent following can become an influencer, and brands – especially eCommerce businesses – are spoilt for choices. Who are your ideal social media influencers? So, why use influencer marketing? 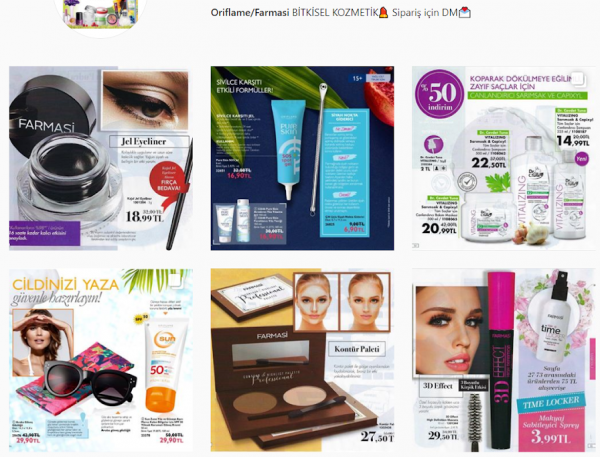 And how to use influencer marketing to your benefit if you have an eCommerce business? Marketing has now become a global phenomenon with audiences spread across the world; and consumers have umpteen choices when it comes to choosing a particular product owing to the plethora of social media marketing platforms. This makes it increasingly difficult for businesses to reach their target audiences. Building trust becomes essential in such a scenario. eCommerce influencer marketing allows brands to locate their specific target audiences and market their products accordingly with the help of influencer marketing tools and influencer marketing campaigns. A good influencer marketing strategy allows online retailers to promote their products through someone who has influence in that particular niche, is trusted and who engages regularly with their prospective customers. Thus, the brand owner believes that if the influencer loves the company’s products, their customers will love them, too. How to identify a social media influencer for your business? Follower size: The first thing to consider is what kind of influencers you should target depending on the nature and size of your business. There are mega-influencers who have millions of followers. These people are usually celebrities like Kayla Itsines, who has 10.9 million followers on Instagram alone. She is the go-to person for big brands selling fitness products. She was named as one of the Top 30 Most Influential People on the Internet by Time magazine. Kylie Jenner and Selena Gomez are some other names dominating the fashion influencer marketing space. Macro-influencers have between 100K and 1 million followers; for instance, Jeff Bullas, who has 560K followers on Twitter. Similarly, micro-influencers have fewer than 100 thousand followers. 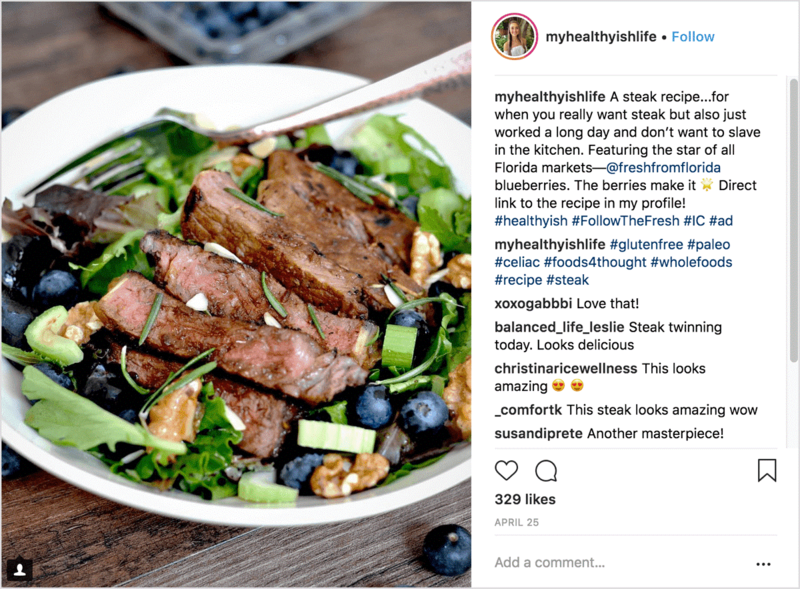 One needs to be careful while choosing micro influencers because sometimes they might just have about 15,000 followers and still may be able to engage significantly with their followers, for example Emily from Myhealthyish. They can be helpful for influencer marketing for small businesses. Relevance: The next important thing to evaluate is how appropriate or aligned is an influencer to your brand message or philosophy. This will largely depend on who your target audience is and more importantly, who do you think your prospective customers will like and will be eager to engage with. Are you looking for fitness fanatics, or budget travelers, or regular campers and hikers or are you simply seeking someone popular? Narrow down your list of influencers based on what is the purpose of influencer marketing and what are you trying to achieve by this for your brand. 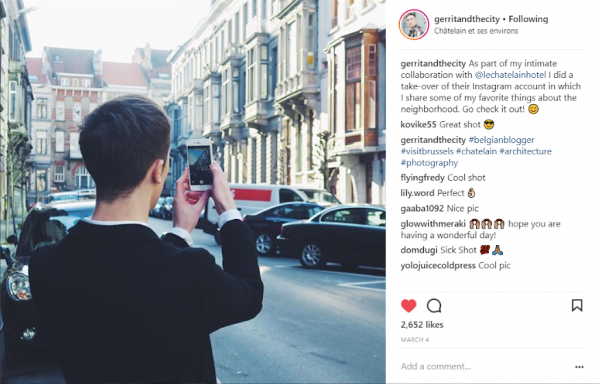 In the example below, Le Chatelain hotel partnered with travel blogger Gerrit Elen because their niches match. Objective: What is the purpose of influencer marketing for your business? This is one of the key questions you should be able to answer. Is it only reach that you are targeting, or is it posting amazing content? Remember that you can create awareness by amplifying content with the help of paid media. You wouldn’t necessarily need social influencer marketing for that. Hence, identifying your social influencer marketing campaign goals is crucial. 67% of marketers believe that influencer marketing campaigns help reach a more targeted audience; while there is an 11x higher ROI through influencer marketing than any other traditional form of marketing. Tweet This! Social Bond: This tool has both free and paid versions starting at $9/month. 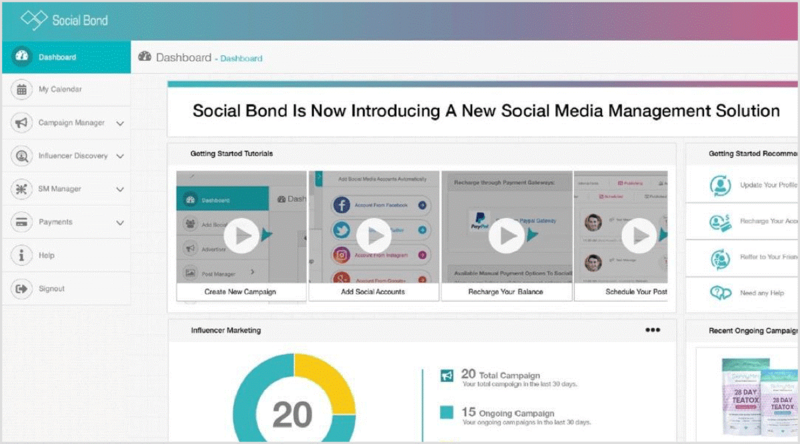 With this tool, you can search for social media influencers and also see their ratings based on engagement, followers, and influence. Ninja Outreach: This tool helps you to research your prospective social media influencers and manage the outreach too. It starts at $69/month after a 3-day free trial. Agorapulse: Agorapulse is a social media listening and monitoring tool and is effective in identifying who your audience is mostly engaging with. It has a 14-day free trial and has a subscription plan of $49/month after that. Their Twitter report card can be used to compare influencers’ accounts with respect to their audience and engagement levels. 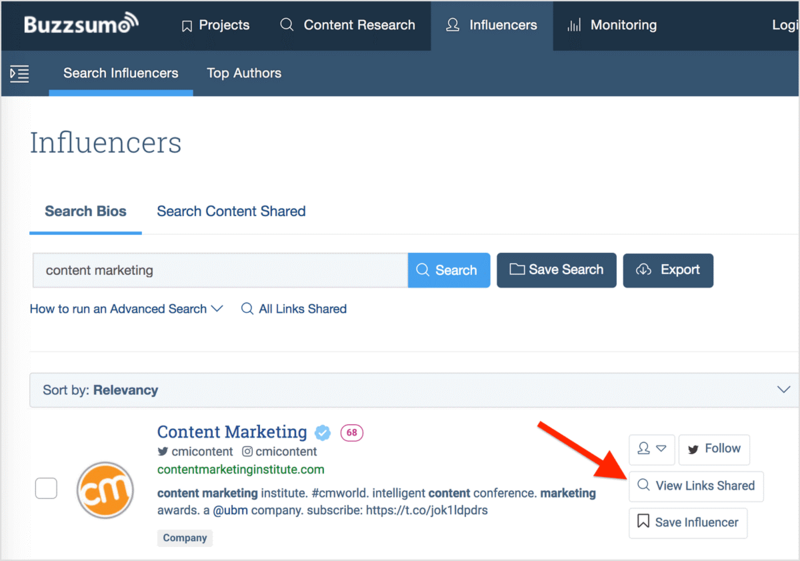 Buzzsumo: You can also use Buzzsumo to search for social media influencers by topic (or niche) and view the links shared by them. It starts at $99/month after a 7-day free trial. Famebit: Famebit is a great tool to help you find influencers and get an analysis of their followers. You can create and list your campaign for free on this tool, and it will introduce your campaign to those influencers who may be appropriate for you. Basically, you just put down your campaign vision and social media influencers will reach out to you. Google Similar Pages: Google can do the initial trick for you here too and for free. All you need to do is google your ideal influencer – e.g., “UK fashion blogger” – and see if any influencer matches your criteria. Then, download the Google Similar Pages Chrome Extension, and it will find similar blogger websites for you. 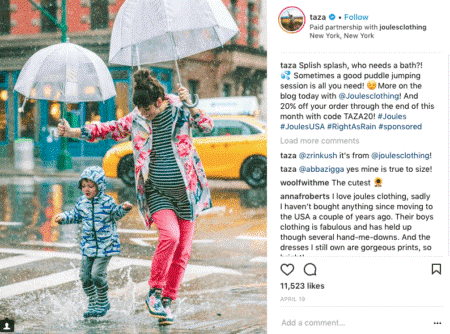 Branded Content tags: This feature allows influencers to label posts that they’ve created in collaboration with a brand, and helps keep both the influencer and the brand in compliance with FTC guidelines for sponsored content. Facebook Groups for Pages: Enables brands to create Groups that are linked to their respective business pages and these Groups give brands the opportunity to engage with their community organically. 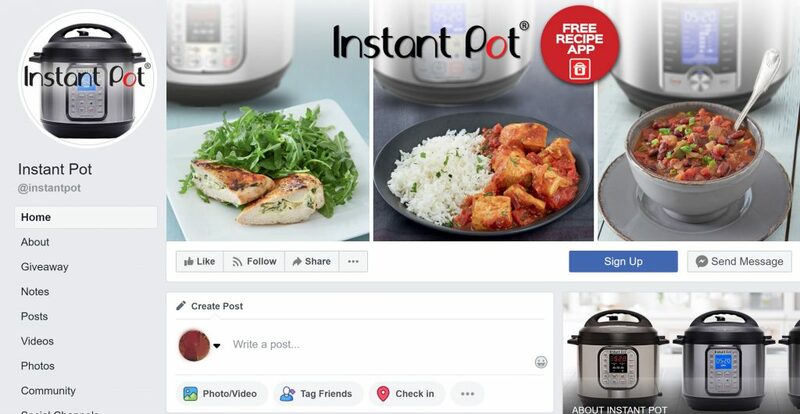 For example, Instant Pot uses their Facebook Group as a recipe-sharing space. 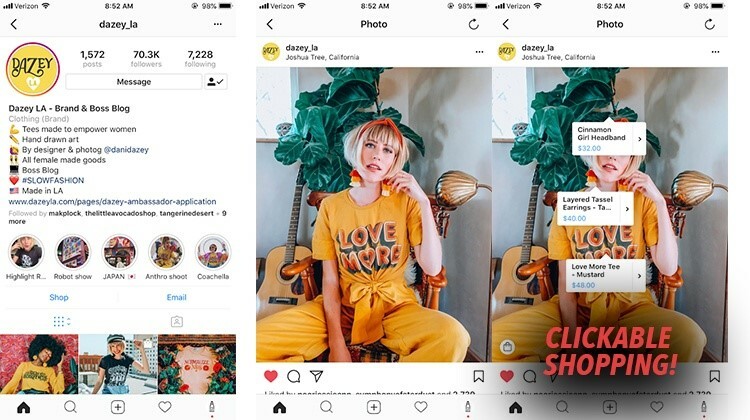 The new boost feature: It enables brands to increase the reach of a post created by their influencers. Brands target a specific audience, and the latter will see the post as originating from the influencer instead of the brand. Identify a Facebook user with a moderate-to-large (but highly-engaged) follower base. Use keywords related to your industry, brand or products to find that person. Do your research either manually or with the help of social influencer marketing tools. Reach out to this Facebook influencer to see if they’re interested in posting about your products. Negotiate with the influencer on the compensation and discuss the terms of the collaboration. 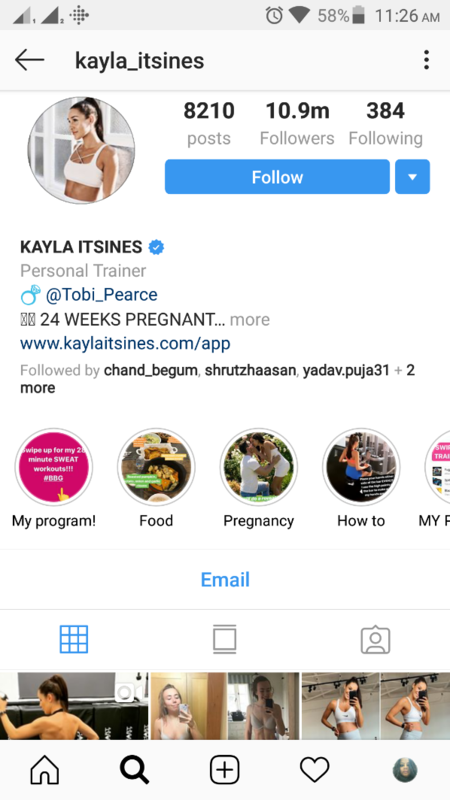 Receive the agreed number of posts about the your products from the influencer. You should ideally look for influencer pages and not their personal accounts. Your influencer marketing campaign will have the optimum impact when everyone is able to access the influencer’s content easily. And the Facebook privacy settings for some individual accounts can make that challenging. Instagram is an excellent platform for marketers who want to execute social influencer marketing. Especially for eCommerce businesses, Instagram engages with its users in a better way than any other social media platform. Influencers agree that Instagram is their most preferred and most effective platform for engaging with their audiences. Tweet This! The process of identifying an influencer remains more or less the same as in Facebook. The cost of working with influencers on Instagram will vary according to the sector in which they specialize. It is believed that travel influencers charge the highest, charging a whopping $220 for each sponsored post. Then comes the entertainment influencers, followed by home and lifestyle influencers. When you start looking for influencers on Instagram, you need to look up branded hashtags. This will help you to find relevant content created around your brand/products. 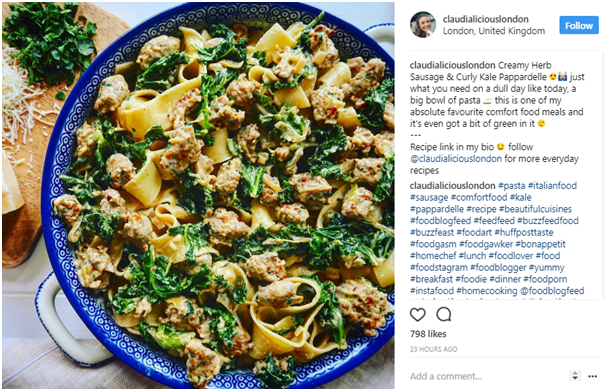 If you are a brand selling ingredients, you might want to collaborate with foodies and food bloggers who can show that they are using your ingredients in their recipes. Below is an example of one such food blogger. Download your guide and learn about Instagram influencers marketing and top Instagram influencers. 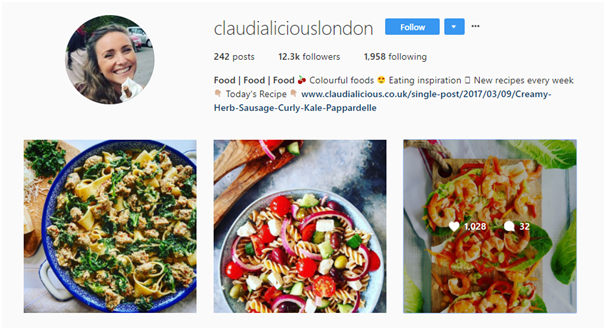 This food blogger has 12,300 followers, qualifying her as a micro-influencer. Her posts are related to food and the posts are of high quality. 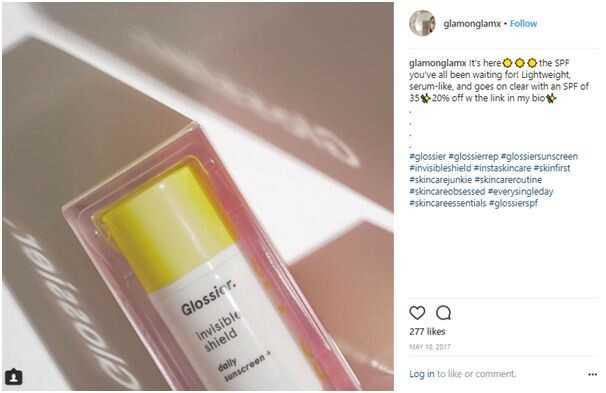 Glossier: Glossier has been known to regularly partner with micro-influencers out of their consumers and turning the latter into their brand ambassadors. Taza of Rockstar Diaries fame is regularly approached by eCommerce brands to share promo codes with her followers. Microsoft partnered with National Geographic and 30 women scientists and adventurers in a campaign to motivate women to participate in Science, Technology, Engineering, Mathematics (STEM). They called it the #MakeWhatsNext campaign. 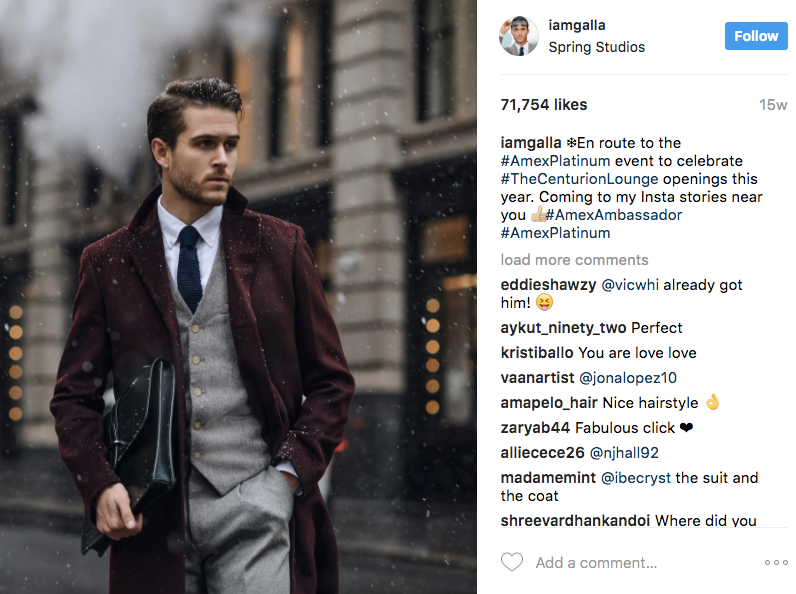 Another company known for social influencer marketing is American Express. They have been leveraging successful Instagrammers to promote their credit cards rewards program. The collaborations and relationships developed as a result of successful social influencer marketing go beyond than just selling your products. These are symbiotic relationships that only get better with every association and investment because they show that you genuinely care. 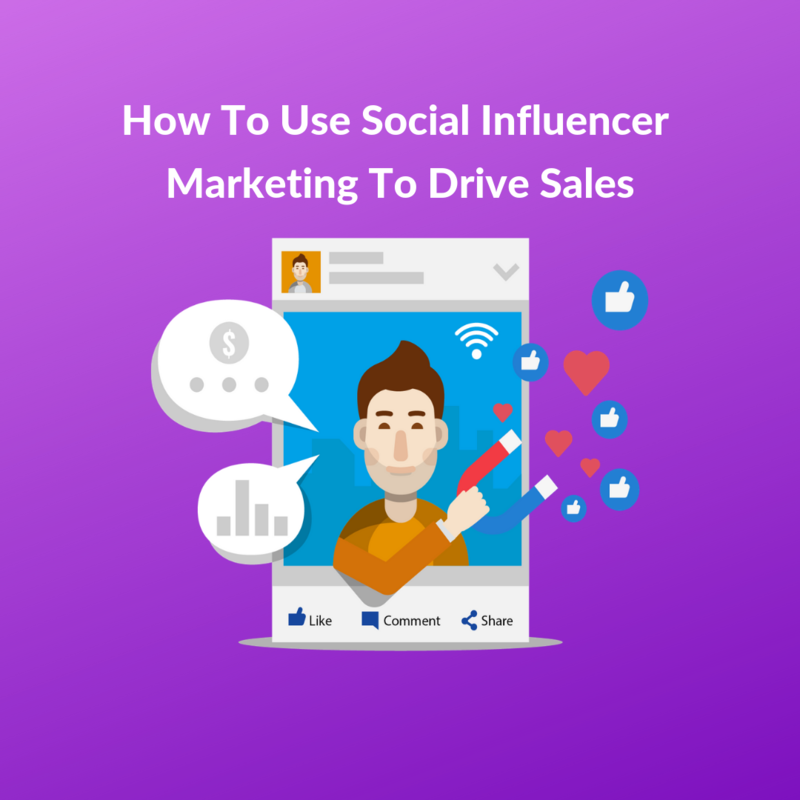 When you treat these influencers as an extension of your business, it not only generates a sense of loyalty, but also grows your business by leaps and bounds, because social media marketing influences customers.